Winifred Holtby was born in the East Riding of Yorkshire in 1898 to a well-off farmer and his wife, David and Alice Holtby. Alice Holtby, with whom Winifred had a difficult relationship, was the first woman alderman in the country. Alice was to the right, Winifred to the left, politically speaking. Winifred was tall – perhaps five feet ten – with wheat-coloured hair, and the best friend of Vera Brittain, whom she met at Somerville College, Oxford, and who was to become her literary executor (Brittain’s book Testament of Friendship was about their closeness). 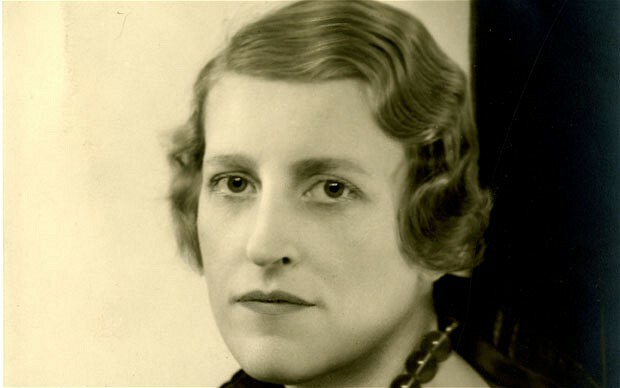 She is now best known as a novelist, but when in November 1934, she judged the NS competition, she was hardly known for her novels at all – nor indeed for her study of Virginia Woolf. She was better known as a speaker and writer on political issues of the day, and as a literary journalist. She also had less than a year to live, had indeed already outlived a prediction on how long she would survive Bright’s disease. Her main success was posthumous, with her last novel, South Riding, a novel that caused a deal of grief to her mother, depicting as it does local politics in Yorkshire. On her deathbed she was engaged to Harry Pearson, whom she had always loved. According to Marion Shaw, her biographer, he was alas persuaded to make the offer at a time when everyone knew it would never be fulfilled. She died on 29 September 1935 in Yorkshire.